Women's Soccer Scholarships in the USA. Amazing opportunities, incredible support. If you’re a female student between 15 and 22 and want to take your talent for soccer to the next level - and gain an internationally recognised degree - a US scholarship through FirstPoint USA offers incredible opportunities. Some of the world’s most successful female footballers have launched their careers with the US college academy system. Students balance up to five hours’ practice a day with a full academic schedule – working towards an internationally-recognised degree, whilst enjoying a busy season of matches. 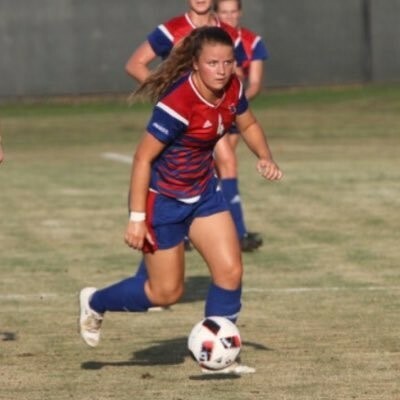 Including the chance to compete in the National College Cup and even make the leap into the elite National Women’s Soccer League, or professional leagues across the globe. As the world leader in securing US sport scholarships, FirstPoint USA has helped thousands of female students pursue their talent for soccer and academia. Taking away a time-consuming and complex process. We’ll work with you and your family to find the right balance - academically, athletically and culturally. Then we’ll promote you to the right coaches, who will look at your videos and check in with us regularly. Our soccer experts will be on-hand throughout the whole scholarship process to help you and your family make the most of this life-changing opportunity.